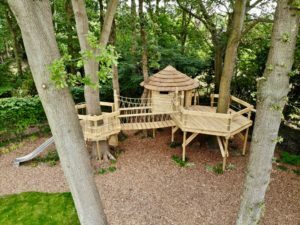 Thatch is an environmentally friendly building material but the use of natural or synthetic thatch materials can differ depending on the application, life expectancy and style required. A thatched roof or building carries a close to nature aesthetic, reminding us of tropical paradise, space, relaxation and ancient farming eras. In addition to traditional thatch from early years, a wide range of materials are now available to produce the beautiful sloping roofs we commonly associate with old country houses. For those new to the market, artificial thatch is now a popular thatch with a life expectancy of 20 year plus, that emulates natural thatch with the same high quality. 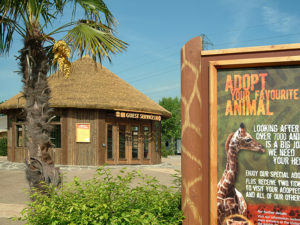 In commercial applications many zoos, theme parks, wildlife parks and theming businesses, now appreciate the appeal of thatch product. They look for the most cost effective roofing materials to suit their needs. 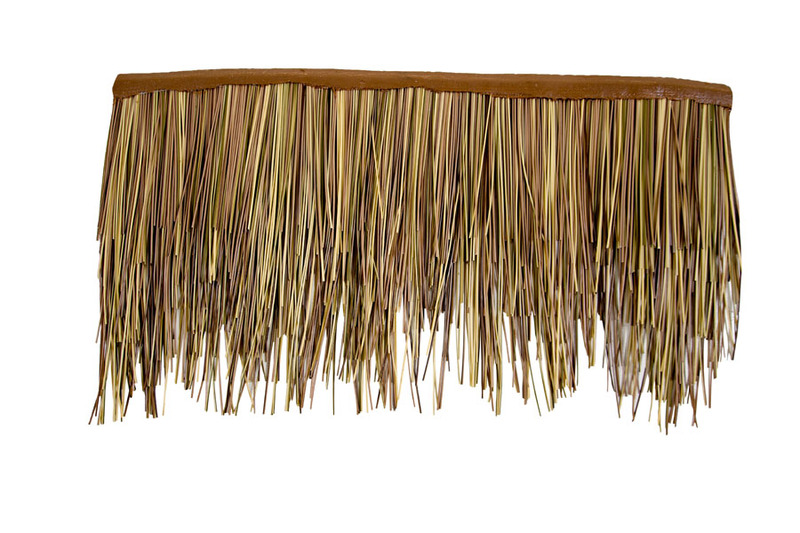 Originating from the Thamnochortus Insignis family of reeds, our Cape Reed natural thatch is harvested from a replenishable and renewable source. In fact the harvesting of the product promotes its natural regrowth. Natural thatch is a truly sustainable building material. It is carbon neutral and acts as a great insulator of noise and temperature, making it an ideal roof product. 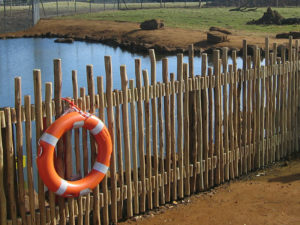 Due to the origins of natural cape reed thatch, benefits can be reaped in both cool and warm climates. Natural thatch provides cooling in the Summer and warms the building over the winter months. It’s also 99% waterproof and is tested to provide 100% UVC protection. Natural thatch obviously comes with a lower life expectancy than its synthetic alternative. Therefore it’s perfect for indoor installations, temporary facilities or when 100% authenticity is required. Quick and easy installation also make it a great material for props in shows, TV and film. 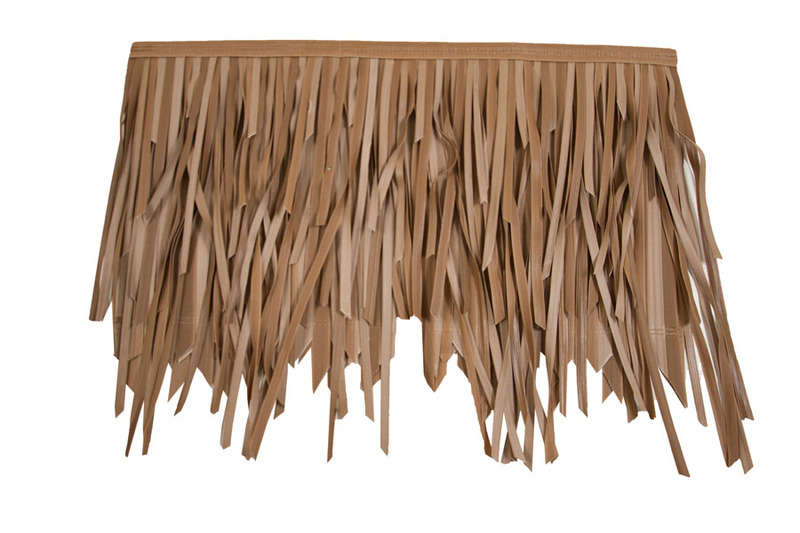 It continues to be a huge favourite of interior designers offering value, authenticity and beauty. Synthetic palm thatch is an innovation for those who want the look of traditional thatch materials with added life expectancy and minimal maintenance. What’s more, a synthetic thatch roof look can be achieved in thatch panels or thatch tile format. Easy to install and maintain by clipping to the roof liner. Manufactured from UPVC Polymer, our artificial thatch roofing, known as Fibre Thatch, can last a minimum of 50 years with no risk of fading colour or susceptibility to mould, rot or decay. 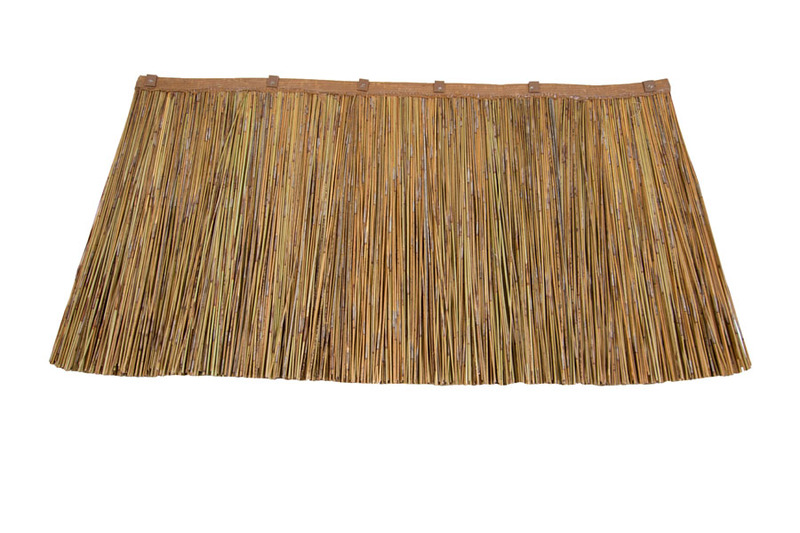 When used with a solid roof structure, simulated thatch is 100% waterproof. It is fire retardant to the highest possible class – this prevents the quick spread of fire by maintaining the burn rate, giving time for the emergency services to attend the situation. Plastic thatch is as aesthetically pleasing as natural thatch and often our customers don’t know the difference. Plastic thatch and artificial palm is the best choice when looking at outdoor installations. This includes roofing for buildings tiki huts, tiki bars and thatched umbrellas. Especially those in damp and dark environments – it also comes with an extensive warranty. So, which thatch roofing material should you choose? Durability, construction rating and budget are factors requiring consideration when choosing between Natural and synthetic thatch. The location of the thatch building is also a huge consideration. However choosing a thatch based on aesthetic appearance is no longer an issue given that simulated products have become so impressive. 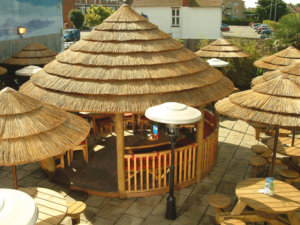 If you’re ready to talk about incorporating thatch into your commercial project you can contact us on 01538 380 984 or email sales@africaroofing.co.uk.